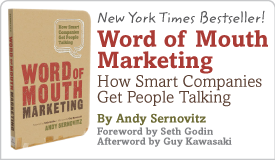 3-Minute WOM Lesson: 3 ways to make it easier for employees to earn fans | Andy Sernovitz | Damn, I Wish I'd Thought of That! If you can get your employees talking to just a few more customers a day, imagine what you could do in a year. Kaiser Permanente, a huge healthcare company, is working to get more of their employees — everyone from physicians, dermatologists, and IT professionals — online and engaging customers. And as a result, they’ve seen dramatic increases in positive conversations about their brand. Because they’re talking to more people, more people are talking about them. Set your employees up to look like heroes to the customers they’re serving. Give them the authority to bend rules, extend deadlines, check in on customers, and go the extra mile. At the very least, give them a stack of note cards they can send to customers to say thank you. No expensive or complicated campaigns have as much potential to earn you loyal fans like an army of capable, energized, and motivated employees. So much energy and focus is spent on getting customers to talk about you, it’s easy to forget all the people on your payroll. 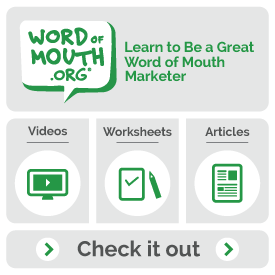 Try getting started by giving them product samples, friends and family discounts, insider info, or company swag. Remember, your employees have friends, clubs, networks, Twitter followings, blogs, and influence too.